So Why Soundproof Your Studio? If you’re going to have a home studio you’re going to have to give some consideration to soundproofing and sound control. A day doesn’t go by when one of my students doesn’t ask: “ how can I soundproof my studio.” Believe it or not the answer is probably “you can’t.” But let’s see what you can and cannot do in the way of controlling sound in your voice over workspace. When people think “soundproof” people think of recording studios. Many professional recording studios are built from the ground up to be soundproof. For the recording studio this has two purposes. One objective is to keep loud sounds created in the studio from reaching the outside world. The nice folks in businesses and residences nearby don’t necessarily want to listen to the strains of the latest thrash metal hit. Especially at three in the morning. The other purpose of soundproofing is to keep outside sounds from bleeding into the recording environment. The dulcet tones of a leaf blower or a trash truck or a car alarm may not harmonize with the string quartet or that vocal and acoustic guitar folk performance that you’re recording. 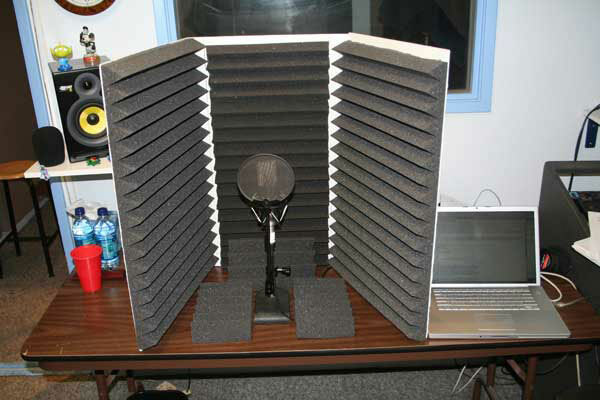 Now let’s consider the requirements for soundproofing a voice over studio. The first thing that you should realize is that the human voice doesn’t have that much energy. 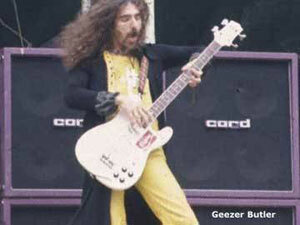 Shout as you may, you’re not going to emulate a Marshall double stack guitar rig or a double kick drum set. So unless you’re in a small apartment with thin walls and you can only record at 2 AM controlling the outgoing sound is not much of an issue. 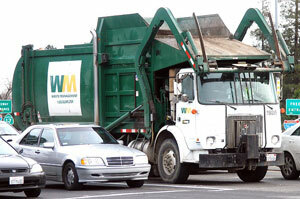 Ahh, but since your voice is relatively quiet then those leaf blowers and trash trucks outside do become a problem. And wait a minute, what about the TV in the other room? Your own dog barking? The refrigerator hum? That cockatoo you bought on a whim? The police helicopter? Fire truck sirens? We live in a constant barrage of sounds that we hardly notice… until we record. What’s a blossoming voice talent to do? Let’s get a definition set out. Good recording involves getting the best “signal to noise ratio” that you can achieve. So, what is a signal and what is a noise? Well, signal is easy to understand. It’s your voice. And therefore anything in your recording that is NOT your voice is considered noise. To hear all the details you should listen with a quality set of sealed headphones—they block out the outside sounds and allow you to concentrate only on the sound in the actual recording. OK, so we recorded with the mic off and we heard nothing but dead silence so no electrical noise. Great. Now let’s deal with those sounds of everyday life. We can divide these into outside sounds (including inside sounds from other parts of your residence—your kids playing Guitar Hero in their bedroom) and sounds in your immediate work area. Where Should I Set Up My Studio? So we must keep the outside sounds out. If you have the option, select the quietest room in the house to record in. Upstairs is better that downstairs. An interior bedroom nestled between two other bedrooms is better than one with two exterior walls. 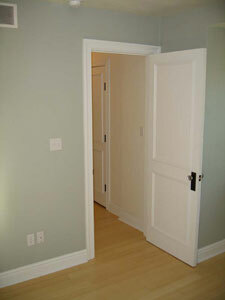 A rear room may be quieter than one that faces the street. So start by picking the quietest space that you can. and WING NUTS. It's similar to what folks who live in hurricane country put up except it's on the INSIDE not the OUTSIDE! Paint the plywood a light cheery color so you don't feel like you're doing hard time in solitary. This should block out all but the most stubborn sounds. 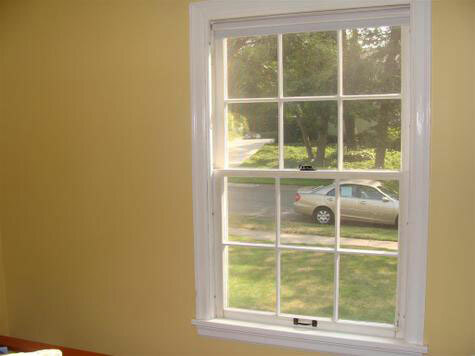 There’s a reason most recording studios don’t have windows! Use the same reasoning to check the door. Use foam weather stripping around the sides and top. And then use something to block the crack on the bottom of the door—a two by four wrapped with a fluffy towel usually works. And tell Aunt Gladys to turn the TV down! So now you’re alone with your thoughts in your quiet place. Wait a minute! What’s that hum? Darn, it’s the air conditioner. Whether you have central air or a wall unit, you might have to turn off the air while you record. Everyone must suffer for your art! And eliminate those sneaky noises. We’ll talk about computer noise in a bit. You obviously can’t turn it off! Now Record a Voice Over! 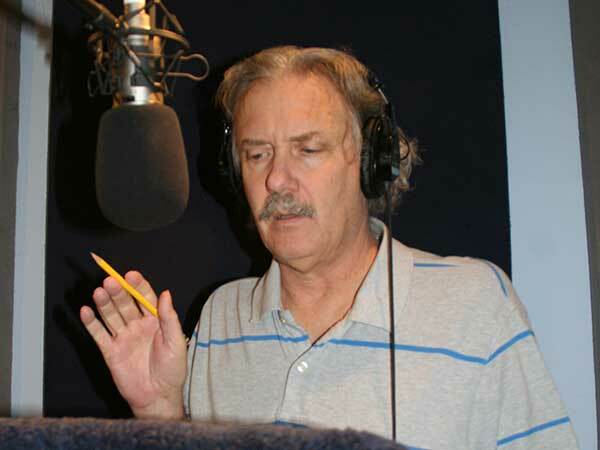 OK, let’s fire up that mic and computer and record a voice over. An ad from a magazine will do. First record about 20 seconds of silence. Then record the ad. Get close enough to the mic (4-8 inches) and speak loud enough to get a good signal. You don’t have to scream (unless it’s a drag race commercial…Sunday, Sunday, Sunday!) just talk with confidence. Remember your voice is the “signal” part of that “signal to noise ratio.” So it should be a good solid sound. Now play your recording back and listen to the recording. Once again, it’s best to listen with headphones so that real noise in the room doesn’t mask your ability to hear any recorded noise. So we’ve covered soundproofing and recording. Now we need to look at SOUND TREATMENT. The two major sounds you’re likely to hear on your recording--besides your sultry voice--are computer noise and room echo. So let’s deal with these. Computer noise consists of two major components: fan noise—a low hum, and hard disc noise—that rattling sound. You can’t turn off your computer—you’re using it to record! So you have to isolate it somehow. How to do this depends on whether you have a tower or a laptop. If you have a tower it should be placed UNDER your desk. That does two things. This moves the fan noise as far from you mic as possible. And it puts the desktop as a barrier between the computer noise and the mic. Usually this works pretty well. You should also open the back of the computer (WITH THE COMPUTER UNPLUGGED!!) and make sure the fans are not dusty. Clean fans are much quieter. If your still hearing computer noise then you should consider setting up sound baffles around the computer to block the sound. 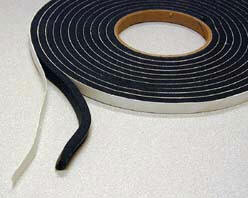 Baffles can be built inexpensively with ACOUSTIC FOAM attached to FOAM CORE PANELS with spray adhesive. 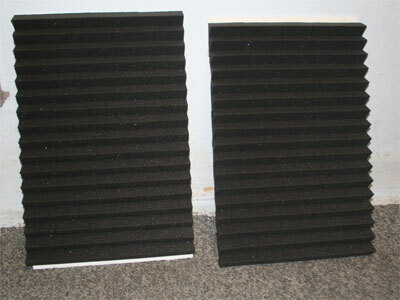 You can also put some acoustic foam on the back wall to deaden the reflected sound. Most of the fan noise comes from the back. Don't use that old matress pad. It won't work. 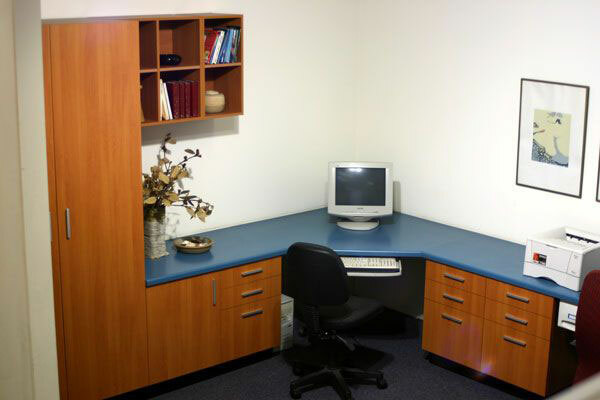 Acoustic foam is much denser and absorbs a wide spectrum of sound frequencies. You can read more than you'll ever want to know about acoustic foam at AURALEX.COM and you can get the foam from all the online music stores and brick and mortar music stores (see home voice over recording studio for a list). You can get FOAM CORE PANELS at craft stores and art stores where they have the poster board (think sixth-grade science fair). Other strategies include a wireless mouse or a wireless keyboard (or both) so you can move the computer tower as far as possible from your microphone. THE PURPOSE OF THE COMPUTER FANS IS TO COOL THE COMPUTER! DO NOT DISCONNECT THE FANS. MAKE SURE THERE IS ENOUGH CLEARANCE FOR ADEQUATE AIR FLOW—GREATER THAN 6 INCHES FROM FRONT, BACK, EACH SIDE AND TOP OF THE COMPUTER. DON’T BLOCK ALL FOUR SIDES. BLOCKING THE AIR FLOW CAN OVERHEAT YOUR COMPUTER. ONLY USE THE BAFFLES FOR SHORT PERIODS WHILE YOU’RE RECORDING! These steps should tame a noisy tower. Ah, but what about a laptop? It sits right there on your desk next to your microphone. My solution is to set up similar sound baffles into kind of a three-sided "vocal booth" with the microphone INSIDE the booth and the laptop OUTSIDE. This will usually block the laptop fan noise. You can also set the laptop on a mouse pad to reduce mechanical vibration. So once again, do a test recording to check for extraneous noise in your recording. Hit "record" on your computer and slide over to your "booth" and do your read. Record SILENCE for about 20 seconds and then record a commercial spot. Now listen back with headphones to identify any computer sounds that are humming away in the background of your recording. Pay close attention to the SILENCE. Is it silent? Then listen to your voice and make sure you don't hear any computer noise underneath your voice. It may take several tries to achieve a quiet recording environment but keep working on it. In this Brave New World you're judged on your PRODUCTION ABILITY as well as your VOCAL TALENT. For the audio purists I'll define each of these terms. ECHO is a clear repeat of sound... The famous "HELLOOO....helloooo" that you'd hear in Echo Canyon. A real quick echo is called a delay. REVERBERATION is a mix of hundreds of little echos combined into one smooth decaying sound that last longer than the original sound. You hear reverberation on the vocals of recordings. Think of the sound in a cathedral or a parking garage. AMBIENCE is the unique combination of delay and reverberation that is specific to a particular space. So your living room may have a certain ambient sound while your bathroom might have another. You'll hear different "ambiences" used in movies to simulate the sound of the rooms the scenes are set in. Film recorders will often record "room tone"--the not-quite-silence that all rooms have so that they can simulate the room ambience later. The other big complaint I get from clients concerning home recordings is ROOM AMBIENCE in the recording. Room ambience is a fancy audio term for that room echo that most rooms have--think empty house or apartment or your bathroom. Clients don't want that sound. ONCE IT'S IN A RECORDING, IT CAN'T BE REMOVED!. Clients want a DRY RECORDING--that means just your voice and no echo. Also, you can't just edit the silences between phrases to eliminate this echo because it also "colors" the sound of the recorded voice. 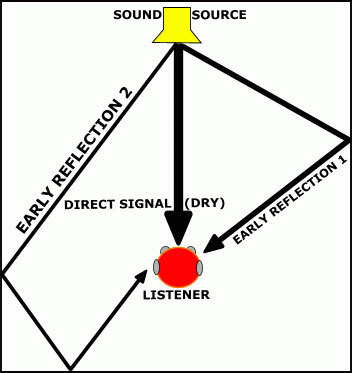 So listen very carefully to your recording and listen for this "room echo". If it's there you must "deaden" the room to eliminate it. So where does this echo come from? Well, your bedroom office might not sound like your bathroom but the sound of your voice still bounces off the plaster walls and cieling. So the mic hears your voice directly AND these series of tiny echos from your walls. So How Do You Reduce Room Echo? When sound travels from one medium to another, for example when the sound in the air hits your plaster wall, it can do one of three things: It can be reflected. It can be absorbed. Or it can be transmitted through the new medium. Walls in houses tend to REFLECT high frequencies and TRANSMIT low frequencies. So in a room with little furniture you'll hear a bright echo when you talk as the high frequency sound reflects around the room. And if you turn your stereo up loud and go outside you'll hear a "muffled" version of the low frequency sound transmitting through the walls. So the secret to taming echoes is ABSORB, ABSORB, ABSORB. What absorbs sound? Upholstered furniture, beds, heavy drapes, throw rugs, carpeted floors, a Norman tapestry from the 12th century... you get the idea. So start with rugs on the floor and soft furniture and drapes. Here's another aspect of the problem. Most people set up their studio on a wooden desk in the corner, facing the wall. So the energy from their voices bounces off the desk, bounces off the walls to the side and bounces off the cieling above. Once again, this is where the three-sided booth comes in handy (and you might want to put a lid on it as well). It actually serves two functions: It absorbs energy from your voice and blocks it from carrying around the room AND it also blocks out sound that is returning from entering the microphone. So try that. You can also treat the walls and cieling around your space with acoustic foam. If you don't want to glue it directly to the wall, then glue it to the foam core panels and hang them on the wall like pictures. So there you have it. To acheive a quality recording environment you need to keep the bad sounds out of your workspace. You need to eliminate sound making sources in your workspace. You need to isolate your computer sounds from your microphone. And you must make the room as dead as possible. (You can test how dead the room is by clapping your hands sharply once and listening for any echo or reverb). SOUNDPROOF against outside sounds and SOUND CONTROL the inside ones. Put the effort into this and your recordings will sound top notch and professional.